I love time waster games. 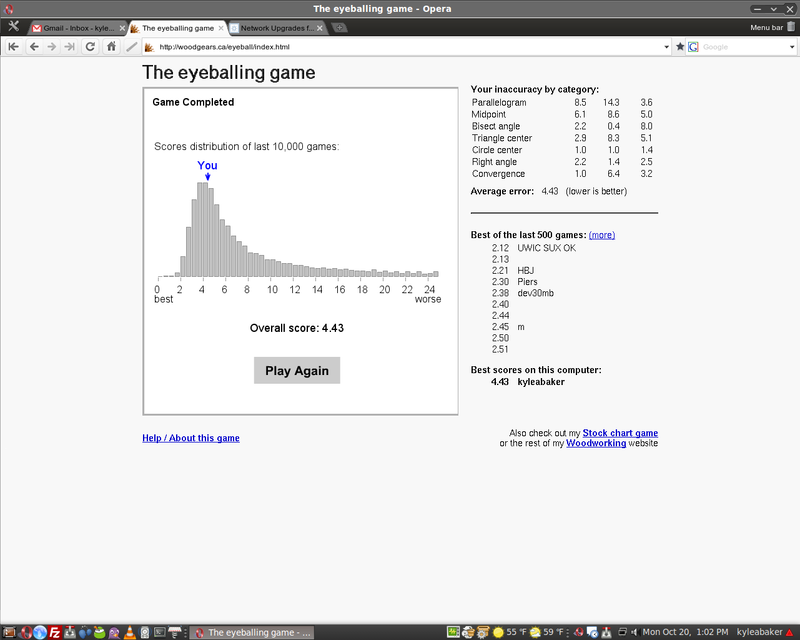 This one, “The eyeballing game,” is pretty fun and it’s a true test to how well you pay attention to detail. 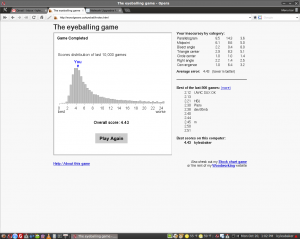 I scored a 4.43 on the game. Lower is better. I didn’t come close to others though. See how well you can do!